I love these crocuses! 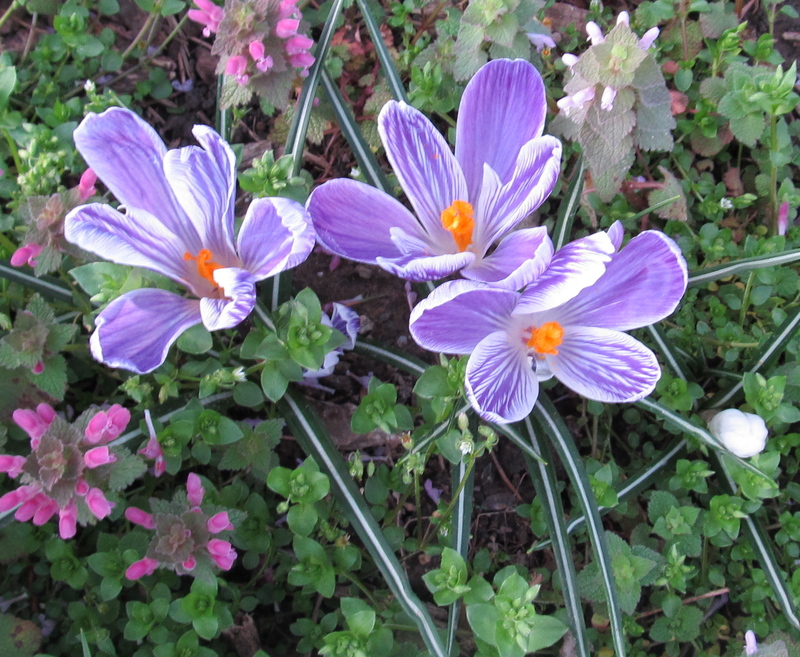 Crocuses are one of the earliest spring bulbs to “come alive” and their color stirs excitement every time I see them. I love looking outside and watching the “greening of spring” on my farm. The spring bulbs open, the red bud blooms, the grass greens and wild flowers are abundant. I am reminded with the blooming of the crab apple tree and forsythia bush that the new growing season will be underway before I know it. This is my little garden outside the back door. Everything is beginning to sprout new growth: mint, chives, grape hyacinth, thyme, oregano, tulip, day , iris, and lemon verbena. The hens and chicks grew like crazy last fall and wintered over with a beautiful burgandy blush on the tips. The nice weather is tempting me to get into the garden. I know it’s too early for most things, but the potatoes and snap peas are getting seeded within the next week after the ground dries out a bit. Broccoli, cauliflower, cabbage, turnips, kale, and brussell sprouts will follow a bit after the potatoes and peas. Can’t wait to see the garden getting to work again this year. My garden is a sanctuary of life. There is a creek to supply water for planting, and enjoyment as I walk through it. 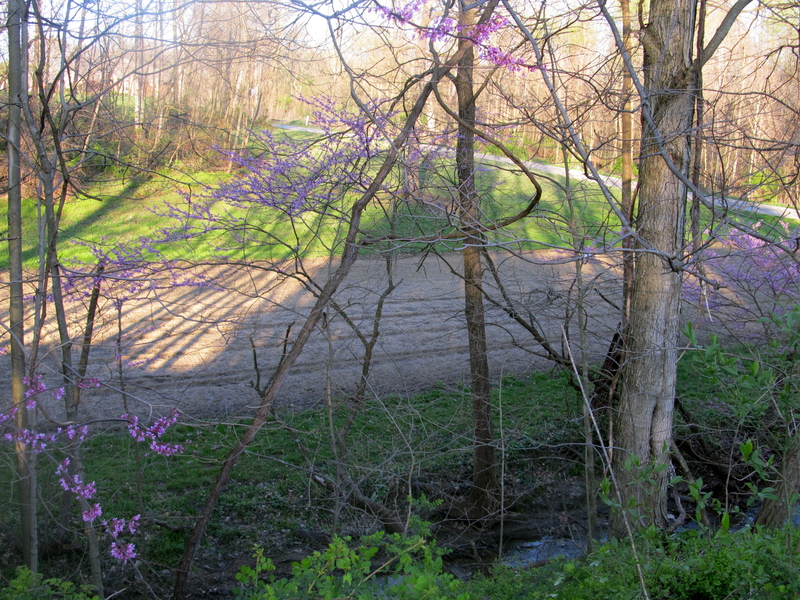 Red bud trees line the creek bed and provide a feast for the eyes. The garden itself is approximately 10,000 square feet in size and has plenty of room for me to grow and grow and grow! My husband has completed the first tilling. In a few days he will till again and then I will busy planting potatoes and peas. Within a few weeks, I will have brussel sprouts, kale, turnips, broccoli, cauliflower and cabbage planted…..I can’t wait to put the garden to work. Gardening is simple pleasure therapy for a winter-weary soul. If you have questions about gardening, let me know and I will do my best to answer your questions. I know I have visitors from all over the world, so I will wish you a happy season, whatever your season happens to be right now. 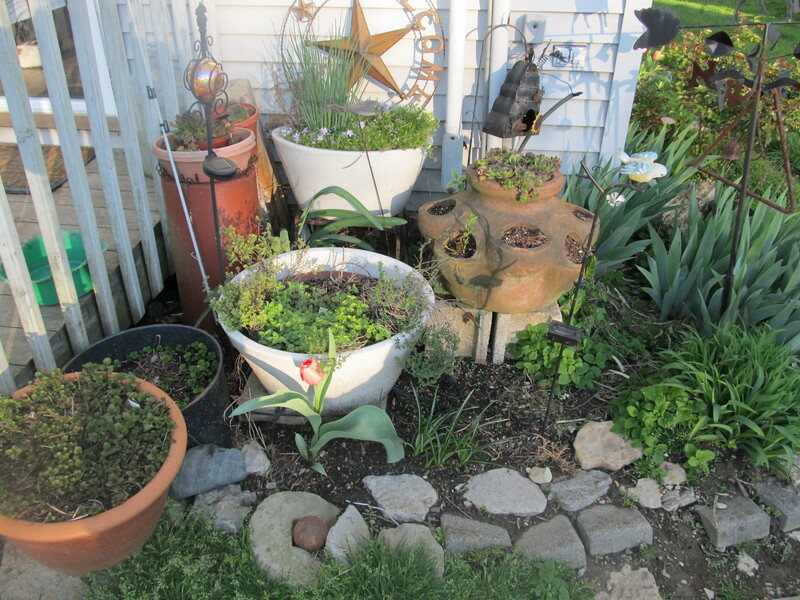 This entry was posted in Uncategorized and tagged crocuses, garden, garden therapyt, gardening, greening, spring, tulips. Bookmark the permalink. Riveting post – cheers. This is a extremely interesting post. Thanks! Thank you! Glad to share the beauty with others, that I get to enjoy every day. I am really loving the theme/design of your site. Do you ever run into any browser compatibility problems? A few of my blog audience have complained about my blog not working correctly in Explorer but looks great in Safari. Do you have any tips to help fix this problem?